I told Tbug that I’d take her flower girl dress shopping since she agreed to be our flower girl. February 27th my mom and I ran to the mall looking for something and while I was waiting on her, in all the stores I went looking for dresses. I figured it was Easter time, our colors being Teal and Brown, those were perfect colors to find around Easter time. I went into JC Penney and I found what I thought was The Dress. My mom said so buy it. I was like, nope, I told Tbug that I would take her dress shopping. Then while still waiting on my mom I found what I thought I wanted shoe wise. I went home that night and talked to Prince Charming. He said why didn’t you buy it. Again I pointed out that I told Tbug we’d go dress shopping. So Sunday, Prince Charming, Tbug and I loaded up in the car and headed to the mall. We also went to Kohl’s, TJ Formal & David’s Bridal. I figured if I was going to do this, I should do it right and look all places. We took photos of Tbug in all the dresses and go figure, the dress I thought was the dress, turned out not to be The Dress. 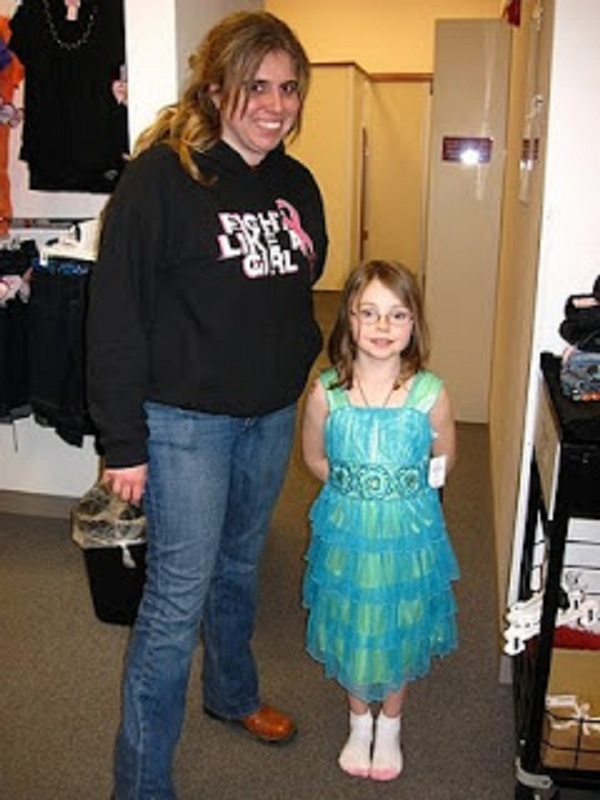 It looked to old on her, but we did find the dress and she picked out the shoes (different from the originals). This was dress 2. We thought it was cute, again to old. Dress 3 and this probably would have been our second choice had we not chosen the one we bought her. This was the last one we tried on at Kohl’s. It wasn’t bad but just really white and blue as opposed to teal for our taste. This was the dress I originally thought was “The Dress”. It was at Penney’s but after seeing it on her and seeing the one we bought on her… I just fell in love with the one we bought. This was the dress. We got it at Sears. Now I know you are going to say, it’s brown and pink… haha… my mom knows how to sew and we took care of that problem and oh is it super cute. Tbug picked out a pair of brown strappy shoes for it also! !